15 companies from around Leer have been involved in the development and construction of the sailing system. The whole project is funded by the EU and coordinated by Mariko in Leer. 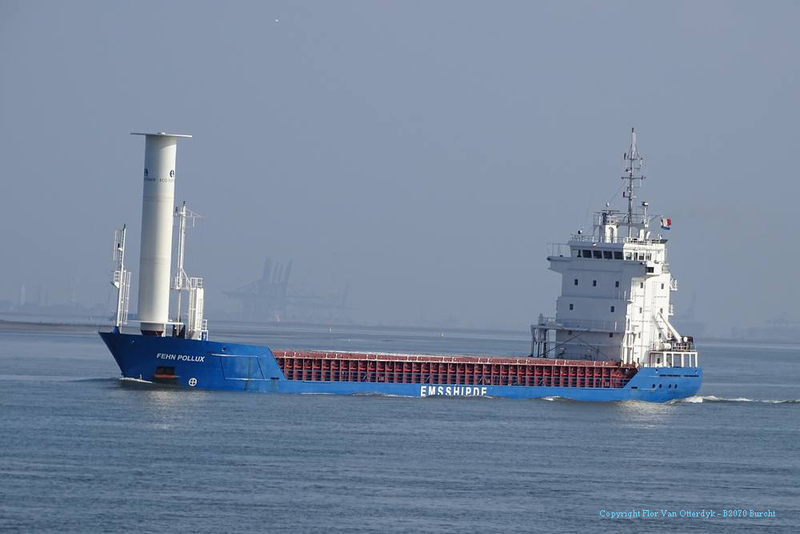 The rotor is 18 meters high and has a diameter of three meters. 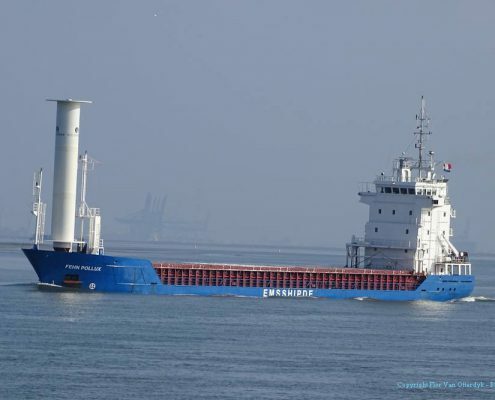 After lengthy test runs ashore, the rotor is now being tested under real conditions aboard 90-meter-long multi-purpose freighter MV Fehn Pollux. The University of Applied Sciences has developed a purpose-made measuring and control system for this project, which enables scientists to gather transparent and reliable performance data. „For the first time we are able to get precise thrust measurements for a Flettner rotor,“ says Professor Vahs. On board MV Fehn Pollux more than 50 different measurements are continuously collected and computed in real time by the Flettner control system on the bridge. The computer uses the data to calculate the optimum settings for the rotor under the current conditions.